No NFL this weekend as we’re preparing for Super Bowl 50 next weekend, but plenty of action nevertheless with NCAAB and NBA in full swing. Saturday’s NBA card is crowned with the NBA marquee matchup between San Antonio Spurs and Cleveland Cavaliers at Quicken Loans Arena. 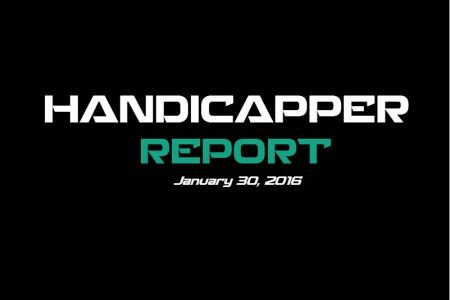 Let’s take a look at the hottest hoops handicappers you should follow right now. Teddy Davis has brought $1000 betting clients more than $10k in profits over the last seven days alone and more than $20k over the past 30 days. Jimmy Boyd is second for both time spans with impressive numbers as well. Mike Lundin has been destroying the competition when it comes to NBA lately, sitting top of the leaderboards for the last 7, 30 and 60 days! This looks like a very rough spot for the Detroit Pistons. They suffered a 114-106 loss at home against the Cavs last night and are 2-6 ATS in their last eight playing on back-to-back nights. They’ll face a white hot Toronto Raptors team coming off 10 consecutive wins and All-Star guards DeMar DeRozan and Kyle Lowry have been terrific during the winning streak averaging 24 and 22.3 points respectively. The Raptors are 5-1 ATS in their last six home games and off a 103-93 victory over the Knicks here at Air Canada Centre Thursday. They’re 6-1 ATS in their last seven playing on one days rest and 7-1-1 ATS in their last nine at home after a win as a home favorite. – Mike’s a FANTASTIC 46-23 through 69 NBA selections this month and 10-2 L4 Days! He SWEPT FRIDAY’S NBA CARD 3-0 and putting his record to the test with TWO MASSIVE TOP RATED 10* WINNERS Saturday night, join now and WIN BIG!